Are you licensed and can be a qualifier on another license to provide RMO services? Or a company who is looking for RMO services? Do you hold the B, C10, C20, C36, C39, or C46 classification? I’m often asked if I can assist someone who needs RMO services. If you are a sole owner or RMO on less than three active corporate or LLC licenses and are interested in providing RMO services on another license, please post a comment to this post below. 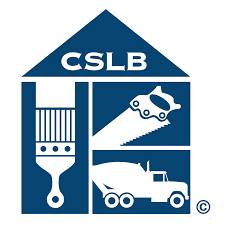 If you would like to include your license number, potential license holders could contact you directly via the information available on the CSLB website. Otherwise, they can post a comment and I, or they, can reach out to you. Remember, you cannot “rent out” your license and the cslb has stated they are looking for qualifiers who are not actively participating in the projects being done under the licenses they are qualifying. Note, I am not an attorney nor do I provide legal services. I will be happy to assist/prepare your CSLB documents, but all legal questions and requests for contract preparation services must be directed to a licensed attorney. Seeking C20 RMO, currently hold B, C-10 in Riverside County. Hi I’m seeking a C-8 and C-12 – RMO for south orange county and inland area (CALIFORNIA). Please contact me at 949-836-3666. We will be working in upscale neighborhoods. Hello… I am looking for someone to be our RMO that has a Gen B based out of Los Angeles. Looking for someone to qualify our property management company that has 10 years of experience. Hi – I do Handyman work and want to be 100% legal – looking for I guess an RMO with B license ? I don’t want to have any legal issues. Just lots of work coming my way and becoming a huge struggle to balance the whole 500.00 thing. Located in Ca – Orange County area. I already carry insurance and would carry the best bond and insurance moving forward. Thanks, Mr. Cocciante! Turns out, we would need someone in or around Palm Springs, Indio, Coachella, San Bernardino, Redlands, and surrounding area within reasonable distance from Palm Springs. Hoping there’s someone. Victorville RMO would be the closest I have. Looking for Class B RMO and C-53 RMO. Thank you! I heard your v/m. I’m assuming you are in Orange County?? I don’t have any B’s or C-53’s in that area. Hi My Name is Joel someone renting a license D-49 for tree service? or an RMO for the same kind of license? 925.949.9037 please call me any time. Remember, you can’t “rent” a license. You can apply for your own license (corp, LLC, or partnership) and the qualifier can be an RMO on your new license. That RMO would need to show at least 20% ownership on your license application if they are an active qualifier on any other license. Anyone in Central Valley , Bay Area, Los Angeles looking for a RMO? License Issue Date – 09/20/2000 , currently active 19 year license. I hold the following classifications. Yes I am looking. I’m reachable at 310-702-6024. Hi j can you contact me for more information. I am looking for a B license. Yes. We are looking. Please contact (949) 265-1132. Need B and C-53. If you are no longer available, do you have anyone else in mind? Thank you! Can you help us with C36 plumbing? We urgently need an RMO. Contact us on samedayplumbings@gmail.com or Call or text 916 490 8490. Thanks, Rick. Hello J_Amg, My names Amir and i would like too compensate you for providing me with a c-10 license. I can provide you with over 10 million in solar sales every year and give you a percentage. Ive been partnered with General A contractors in the past and ive been in the solar business for 6 years now. Please contact me at your earliest convenience (424)200-0701. Hello J, I am definitely in need of a B – GENERAL BUILDING CONTRACTOR, C33 – PAINTING AND DECORATING, C36 – PLUMBING, C10 – ELECTRICAL, and C39 – ROOFING. Please call me at 909-496-1787. THANKS. We are looking for a c-33 RMO in Sacramento, CA. I am Martin Phillips and I am in wireless telecommunications. We have a contract to fabricate and distribute small cells shrouds and equipment enclosures. In addition, I have access to install electrical charging stations, and cell towers. I am seeking a C10, and A license. The C-10 is reciprocal in Florida where i have contracts to o work too. We can discuss all options to being RMO with a fee to equity after 1 year. I’m looking for a rmo in the Los Angeles area that holds a general B , C39, C17. I am open to a flat rate fee to get my operation going and would be willing to re negotiate that once jobs kick in, or give a percentage per job. I have 6-7 years in the field and want to get my company going. If you are open to this please reach out to me at 310-702-6024. Anyone looking for RMO C21? I hold a C-20 contractor License and I am Interested in becoming an RMO. I am located in the San Diego area. I’m interested in RMO for C-20 Contractors License in the San Diego Area. would you service LA area? I am looking for a C20 RMO, please contact me. I am looking for a RMO for the San Diego area for a C36 and or C20. I’m looking for an RMO D28 garage door and gates. I hold a “B” contractor License..Interested in becoming an RMO in San Diego area. Hi, I am Martin Phillips and interested in using your B license in LA/OC/SD area. Looking for someone to RMO on a relatively small demolition project in Sacramento. You may also want to try the CSLB’s licensee search. Click here. I searched C-21’s in Sacramento and found 21 licenses that hold that classification. It would require some cold calling, but it’s an option. C27 License RMO. I have a c27 license in good standing looking to be an RMO for a company. I have a C-20 if your still interested. Please contact me if you are interested in being our RMO for an hvac business in San Diego. General B Contractor, Los Angeles area, willing to RMO. Let’s talk, 562-900-4419. Hi my name is Vanessa. I’m looking for an rmo with a C-27 license. Looking for a C-16 to RMO a small company in Northern Ca. Hi how can i get your contact ? I am actively looking for a RMO for C10 Electrical and C20 HVAC in Sacramento Area. If anyone interested please email me on opentoinvestment@gmail.com. I am looking for B license and C-2 License. Do you know an RMO for those classifications? I currently don’t have a B RMO on my list, and the C-2 could be difficult to find as there aren’t that many with that class. You could potentially find someone in the LA area using the CSLB’s license search function. Click here. I did a search and found 6 licenses that carry the C-2 class. I am interested in all 3 of those licenses and am very serious to move on an rmo. Which trade classification are you looking for? I see the license has the B and the C-20. If/when he retires, you’ll have 90 days to replace him. Simon. Are you still available for RMO of your C10 License? If so, please text me 407 808 8001. Does anyone hold a C-7 Low Voltage license classification and is willing to qualify a license? Please let me know. In need of rmo b license and or c36 license. 3108004294 Alberto located in gardena ca. Can you clarify do you need RMO B lic or you have B lic. If you’re referring to a corporate license, the qualifier would be an RMO or an RME. The corporate entity holds the license. I have a client that needs a B RMO for two licenses. If you’re available and are currently only licensed on one active corporate or LLC license, send me an email using my contact form below. We have spoken briefly about RMO and I have capacity to license two additional contractors – I hold a Class A and Class B license and have had an attorney prepare an agreement that covers me and the contractor that needs and RMO. I expect $1200.mo after a $2000 start up, I know you will have costs and don’t know what you need from me, but I would expect that the applicant would cover those costs, but enlighten me. I would hope you know of solid dependable and experienced contractors for I don’t need to be giving lessons – I have over 50 years of experience and am highly qualified. Please let me know if I can fit in with any of your reliable clients!! Thanks Tim! My fee would be $150 to prepare/file the documents, and I too would assume the licensee would cover that cost. Have active/ good standing c-27 landscape license. anyone looking for c27 landscape contractor? Hi I am looking for an RMO for my LLC. I need an rmo with a c-27 are you still interested? hello we are a solar company and looking for a C10 to be an RMO for us. for a monthly fee..
Hi Sophia, my name is Brendan and I currently have an active C-10 license. Hello looking for someone that holds a General B, C10 or C46 license that would be interested in being a qualifier for me for Solar contracts but I need to be licensed and bond. I have extensive training and 7 years experience. Please send me your info and we can negotiate on a monthly fee. Are you still looking for a C-10 my Name is Chase Davis and willing to be an RMO. We are a newly formed Ca C-Corp in need of an RMO, C-16 Fire Protection while our CSLB as well as the CSFM`s Office application/license process moves forward. We are new to this process but not new to business with over 28 years of experience in the Fire Protection Systems and Equipment Industry. We are 100% self funded… Have an FPE in place for plans/ engineering and years of sales contacts with over 300 sales leads last year alone in only the commercial sector in our geographic area. We are fully tooled up with trucks, tools and equipment to handle any Fire Protection Installation scenario… under or above ground installations… steel, copper, plastic, pex, etc. can install/ fit all pipe mediums and situations. We can thread, Groove, solder, weld or fabricate in the field or in our small office/shop. We have a network of suppliers throughout the state of Ca available for anywhere installations. We are very experienced project managers and craftsman… An interim partnership agreement gets us started tomorrow with sales, etc. until an rmo agreement catches up. Any standard compensation agreement with some flexibility for lag time between sales and signing in the beginning will be promptly considered. We can start closing sales this week. Let’s get started. Yes, anyone who holds a classification can be a qualifier on up to three corp or LLC licenses in any one year period. But you must show at least 20% ownership on the application for each license. jason jackson will you RMO for someone in san jose ca.? I have C10 &C36 and looking to do RMO for someone. Not my first rodeo. Done this a number of times but not current with what fees might be had. What are current rates for providing this to another firm? There is no industry standard regarding RMO compensation. It’s really up to what you can negotiate for with the license holder. Flat monthly, flat yearly, percentage of each project, flat fee per project, etc. how are you? can you still do the C10 RMO for a monthly fee. I’m interested to see the proposal.